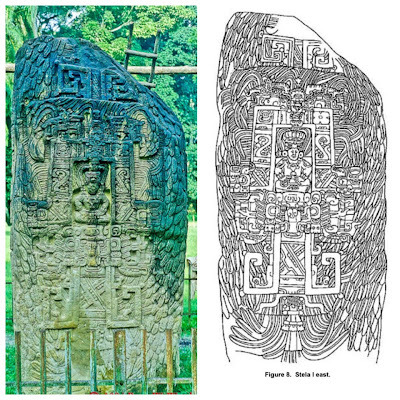 Another relief that resembles a 20th century perception of a rocket to some extent like the content of the tomb lid of Pakal Votan is the QUIRIGUA MAYAN RUINS: BACK FACE of STELA I (a STELA of JADE SKY, 16th King of Quiriguá) possibly created around 800. 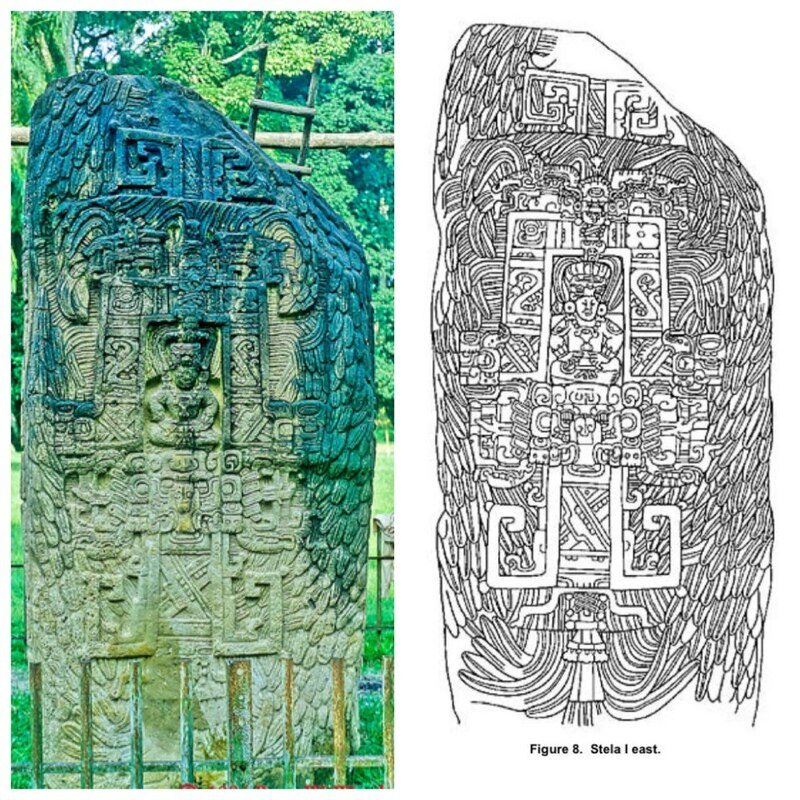 It's not as likely to inspire people to think of it as a depiction of a man in a space craft as the Pakal Votan tomb lid but maybe someone might take a look at this thing through a Von Däniken point of view and see this as a space craft, with the bird tail like plume at the bottom as the rocket nozzle down below (which is something the Pakal Votan tomb lid didn't have) with the pilot within the confines of the structure but seen from the front seated above an animal like head which in the Pakal Votan image would be the Monster of the Sun..
(a STELA of JADE SKY, 16th King of Quiriguá). 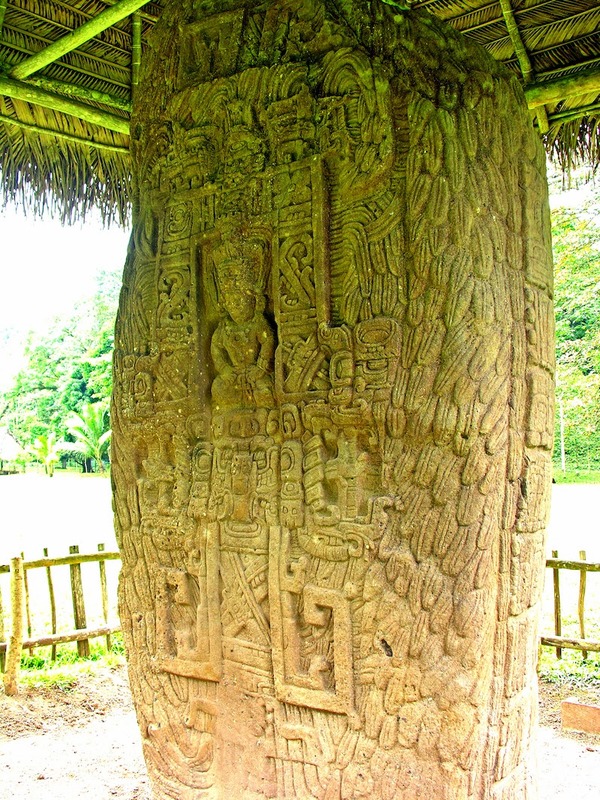 QUIRIGUA MAYAN RUINS: SCULPTURE on the BACK FACE of STELA i (a STELA of JADE SKY, 16th King of Quiriguá), Guatemala. 1984 Photo by Peter Wendelken. 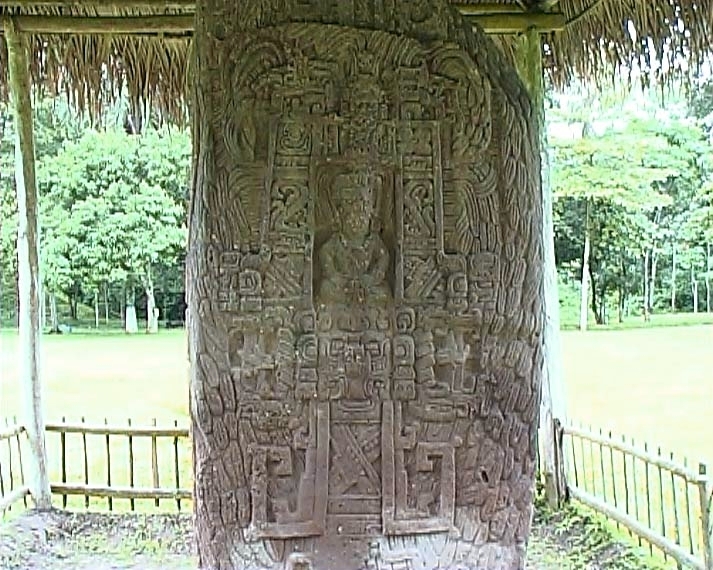 The back face of QUIRIGUA STELA i displaying intricate Mayan stone carving in the Quiriguá Mayan Ruins in eastern Guatemala near the banks of the Rîo Motagua. 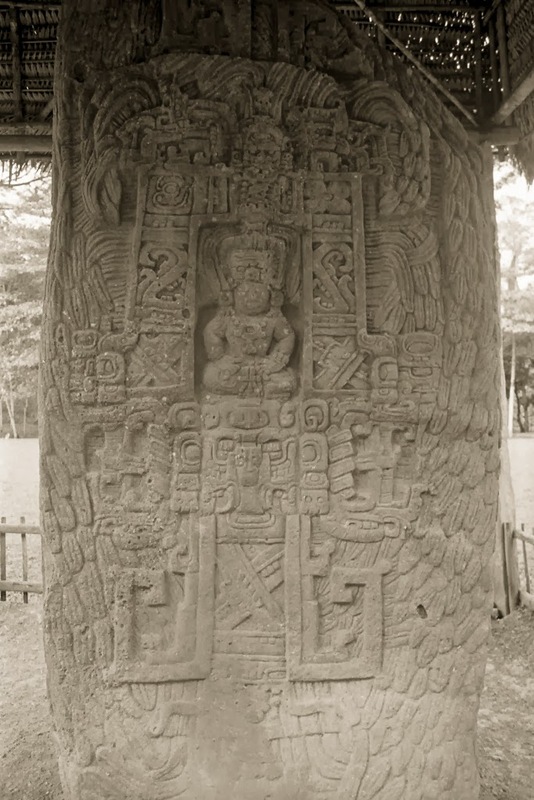 The front face of Quiriguá Stela i bears a portrait of Jade Sky, the 16th king of Quiriguá. 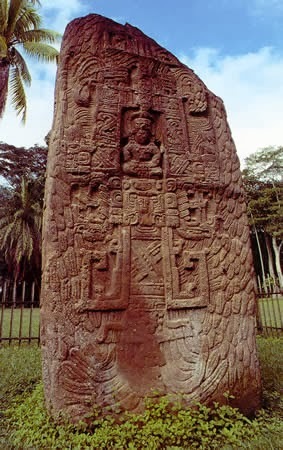 Quiriguá Stela i was dedicated in 800. In this 1984 photo, Stela i is partially blackened by the smoke of incense that was burned at the base of the stela in the early 1980's.